The academy will honor the 18-time Latin Grammy Award- and three-time Grammy Award-winner on Nov. 15 at the Mandalay Bay Convention Center in Las Vegas, on the eve of the Latin Grammys. 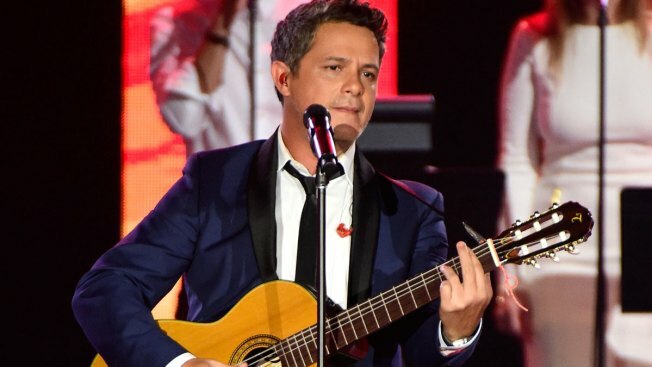 Spanish music star Alejandro Sanz has been named 2017 Latin Recording Academy Person of the Year. Sanz made his debut in 1991 with "Viviendo Deprisa." He has sold more than 25 million records. All 15 of his CDs have gone multiplatinum in Spain, Latin America or the United States. His latest album is 2015's "Sirope." Marc Anthony won the same award last year. Past honorees include Shakira, Placido Domingo, Gloria Estefan, Ricky Martin and Julio Iglesias.